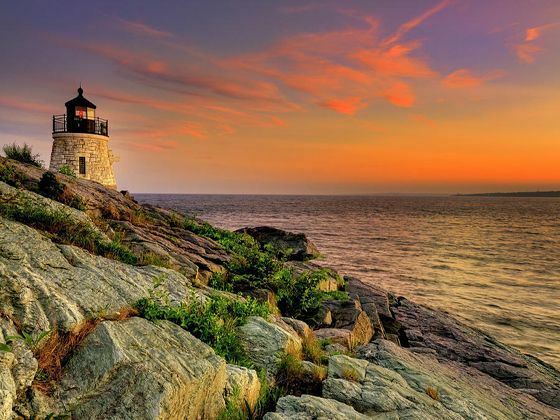 New England charms visitors with some of America’s most picturesque scenery, and that includes its magnificent coastlines. 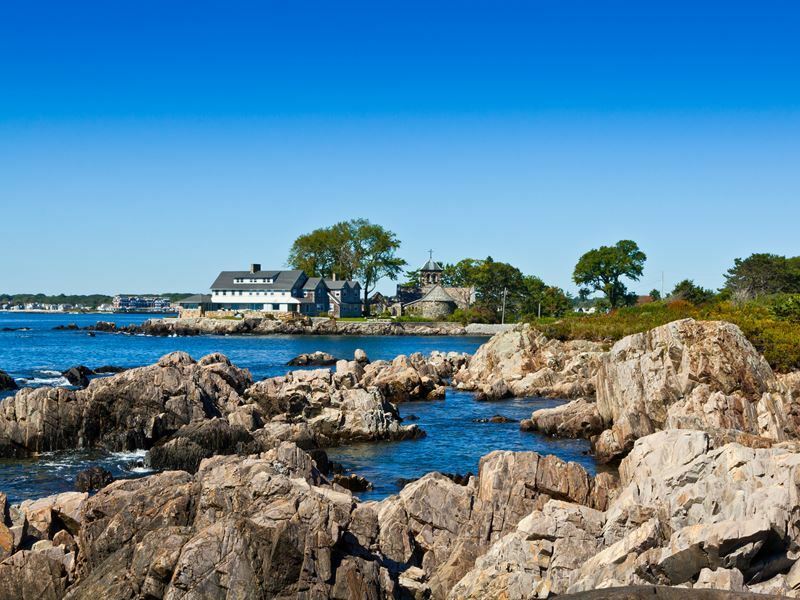 You’ll find many alluring coastal towns to visit, whether you’re looking for exciting activities like riding the waves or relaxing pursuits such as strolls along the sand, there are many ideal spots from the rocky shores of Maine to the offshore islands in Massachusetts. You could choose to spend all of your time soaking up the scenery and the sights in one, or explore a variety by embarking on a scenic self-drive. 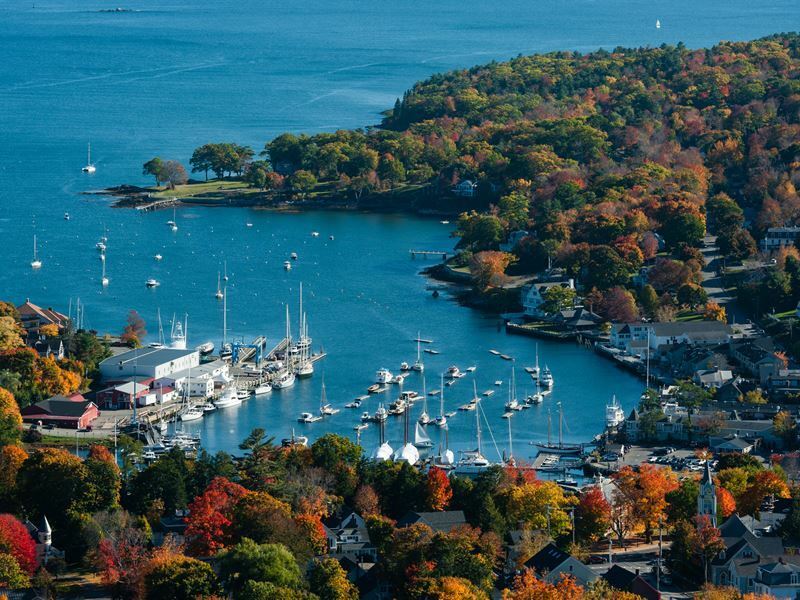 Whatever your desire, these top 10 coastal towns in New England are sure to make for a memorable trip. Where: Located adjacent to Penobscot Bay and the Gulf of Maine, Camden is just one of two places on the Atlantic seaboard where the mountains meet the Atlantic. What: The “Jewel of the Maine Coast,” looks like it was made just for postcards. Used as the setting for a number of films, including 2001’s “In the Bedroom,” waterside seafood beckons while sailboats glide across the glistening waters. Set around a historic working port, it features many outstanding shops for purchasing gifts as well as local produce. A popular destination with wealthy holidaymakers in the late 19th century, the over 100-year-old Camden Yacht Club can still be found along the waterfront. 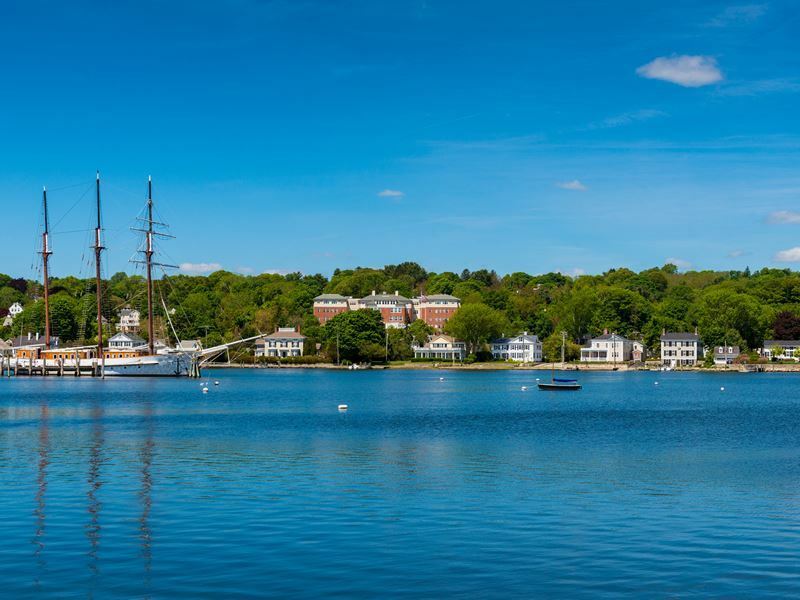 Highlights: Simply strolling the High Street Historic District to take in the classic New England architecture is enjoyable, although embarking on a sailing excursion around the harbour, or hiking around Camden Hills State Park brings the chance to really soak up all of that scenery. By visiting in early autumn, you’ll be rewarded with a breathtaking display of golden yellows, blazing oranges and fiery reds that come with the leap-peeping season. Where: Originally, Rockport was part of Camden, which now sits just two miles north. In 1891, the towns split into two, developing apart from one another. 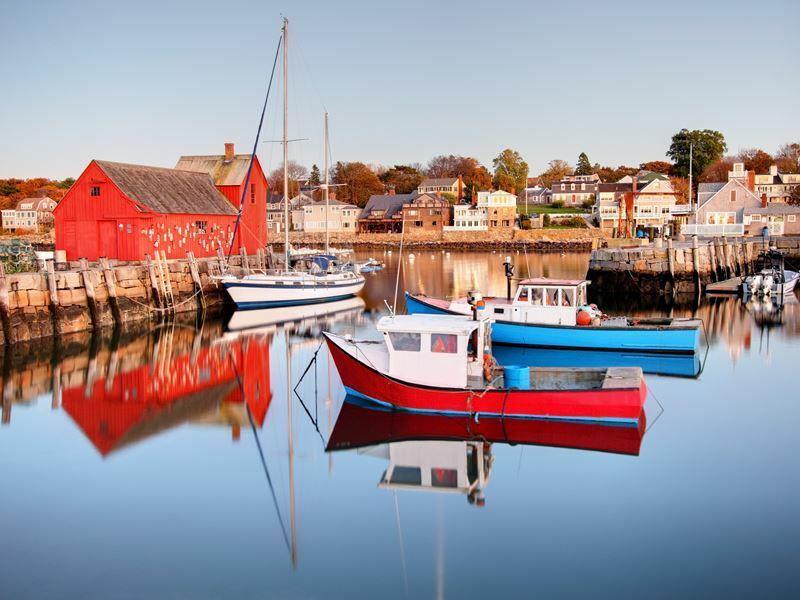 What: While its shops once sat boarded up, thanks to a resurgence in recent years, Rockport is a scenic fishing village that welcomes visitors with colourfully decorated buildings that house a collection of boutiques, eateries and ice cream shops. It was first known for its limestone industry, before becoming famous around the world as the hometown of Andre the Seal. The harbour seal spent his winters at Boston’s New England Aquarium, and his summers here in the harbour. His story was the subject of a feature film, “Andre,” and a book, A Seal Called Andre. Highlights: Be sure to take a selfie with the life-sized granite statue of Andre that sits at harbour-side while you’re here. Other popular attractions include the Farnsworth Art Museum and Wyeth Center, which boasts a diverse Maine artisan collection, while Front Beach offers the chance to take a refreshing dip or practice the art of sand castle building. There are a number of oceanfront restaurants serving up fresh, local seafood as well. Where: Situated between Boston and New York City, the village of Mystic sits along the Mystic River, which flows into Long Island Sound, offering access to the sea. 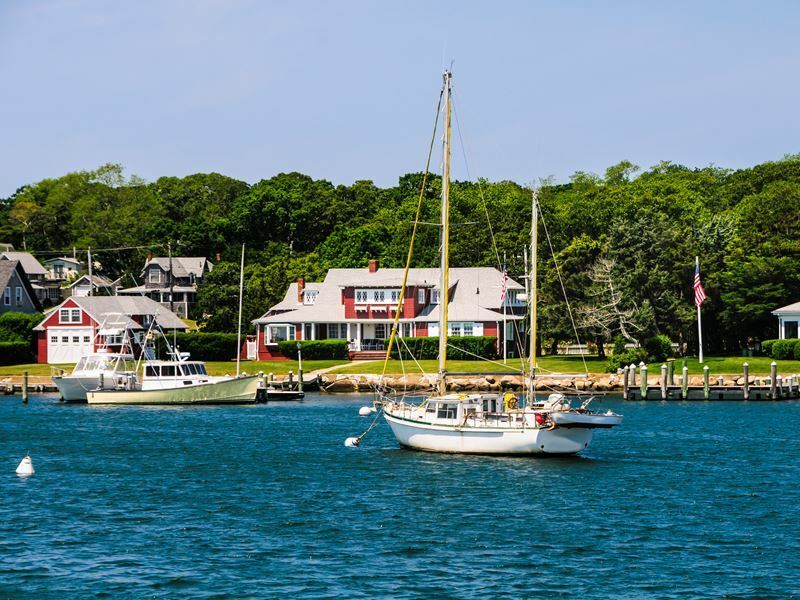 What: This highly attractive coastal town is a popular tourist destination with a wonderfully preserved history, and is best-known as the home of Mystic Seaport, one of the region’s most important seaports. It features one of the nation’s largest maritime museums, with more than 500 vessels, including the last remaining whale ship in the world. Film buffs may know it best as the setting of the 1988 movie, “Mystic Pizza.” The village’s renowned Mystic Pizza restaurant is what inspired the Julia Roberts film. Highlights: Visit Mystic’s No. 1 attraction, Mystic Seaport, which not only hosts the impressive maritime museum, but an aquarium as well. Visitors can get up close to sea lions, seals, penguins and even beluga whales. Ship enthusiasts won’t want to miss the Maritime Gallery, America’s foremost gallery specialising in ship models and contemporary marine art. When seeking souvenirs, be sure to explore the Olde Mistick Village, and pick up a piece of delectable homemade fudge at Franklin’s General Store. Where: Portsmouth sits just an hour north of Boston and an hour south of Portland, Maine, near the mouth of the Piscataqua River. What: One of the nation’s oldest cities, settled in 1623, Portsmouth is renowned for its rich history with numerous historic sites, waterfront views, tax-free shopping and multiple museums. Overlooking the river which divides Maine and New Hampshire, much of life here is spent near or on the water, and by visiting the USS Albacore Museum, housed in a 1953 US Navy submarine, visitors can get an interesting glimpse at life in this seaport city. Highlights: A guided or self-guided walk along the Portsmouth Harbor Trail will bring you to over 70 historic and scenic sites, while offering a taste of the local culture and charm. For a more relaxing way to take in the scene and learn about the local history and wildlife, hop aboard a Portsmouth Harbor Cruise. Not-to-be-missed for history buffs is the Strawberry Banke Museum, an outdoor museum which traces the town’s earliest history through a wealth of exhibits and historic houses. Where: Nantucket is both the name of the small island and town, situated 30 miles off the coast of Cape Cod, Massachusetts, accessed via a scenic ferry ride. 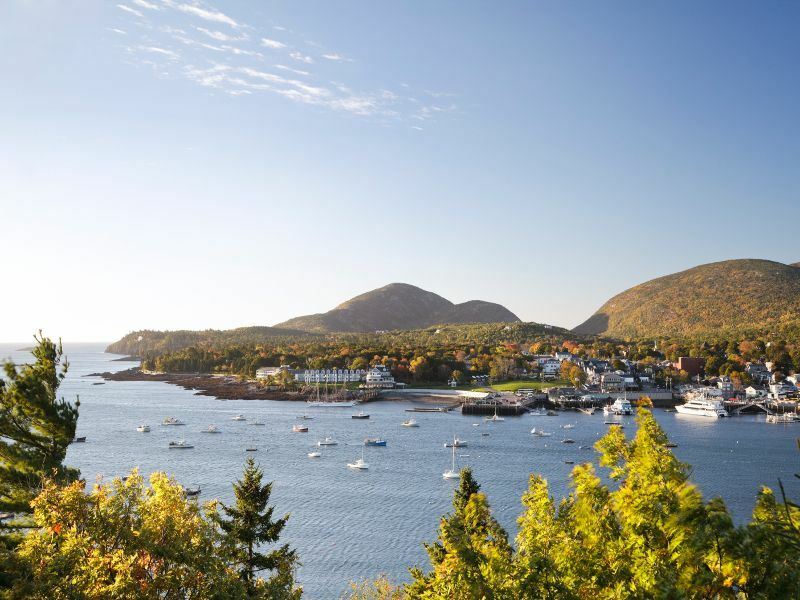 What: This incomparable coastal town/island offers surprisingly upscale restaurants, an intriguing mix of shops, tranquil harbours, beautiful beaches, lighthouses, a whaling museum and bike paths that branch off in every direction, leading to a variety of postcard-perfect stretches of sand. It also boasts grand old mansions, colourful gardens, an interesting history and countless romantic inns. Highlights: Nantucket is home to over 800 pre-Civil War houses, located in is historic district that are considered a must-see. Enjoy wandering the streets lined with 18th and 19th century captains’ houses for a fascinating lesson in architecture, and check out the impressive collection of scrimshaw at the Nantucket Whaling Museum, which recalls the grittier days when the island’s whalers sailed the world. Of course, many visitors come for the beaches, all of which are open to the public. The beaches along the south shore are of those who are looking for the big waves, and glorious sunsets. Coatue is ideal for sea kayaking, exploring the crescents and points, while Children’s Beach is popular for its lack of current on the sheltered waters of Nantucket Harbor, where the little ones can splash around. Where: This village sits on Bar Harbor Island, off the Down East coast of Maine, and serves as the home for much of Acadia National Park. What: This quaint seaside town gets its name from the famous sandbar which connects Bar Island to the mainland at low tide. You’ll often find it ranked amoung lists of the top spots in the world for fall foliage viewing, with some of the most brilliant hues found along the 40-mile stretch of the Acadia Byway. Here, visitors can soak up vistas of the breathtaking wild coast as well as the stunning range of colours in the park. This historic resort town has managed to maintain the Victorian splendor of bygone days, and is filled with elegant mansions that have been transformed into romantic B&Bs and outstanding restaurants. Highlights: Outdoor activities are the big draw here. Paddle around the coastline by taking a kayak or canoe tour, or get on the trails on foot or two wheels for a close-up look at what the national park has to offer. If you’re here in the autumn, get ready to be impressed with the abundance of colour, best enjoyed by taking a trek to the summit of Cadillac Mountain. Where: Hyannis is the largest of seven villages located in the town of Barnstable on Cape Cod. What: This popular summer tourist destination serves as the primary ferry boat for passengers to Nantucket Island, though it offers numerous attractions of its own. 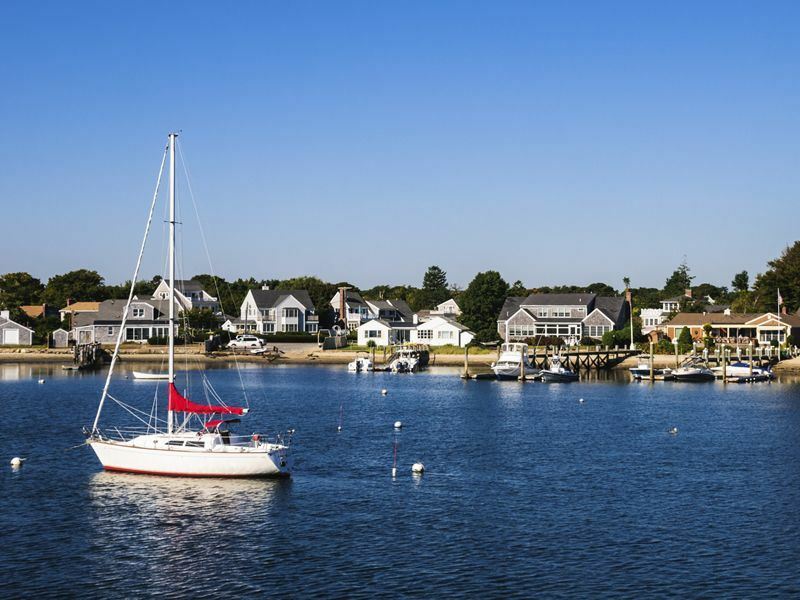 Thanks to its large harbour, it’s the biggest recreational boating port on the Cape, as well as being home to world-famous beaches that are ideal for seashell searching, swimming, surfing and long walks. There are also numerous shops, renowned historic houses and a number of popular museums. Highlights: Whale watching is an especially popular attraction here as one of the world’s top whale watching destinations. It’s a highlight with many holiday makers, offering the opportunity to cruise the water while viewing humpback, minke and finback whales, as well as a number of dolphin species. The John F. Kennedy Museum preserves and promotes JFK’s legacy as well as he and his family’s deep connection to Cape Cod, and a must for those interested in his presidency and the area’s history. Where: This popular beach town is situated along the northeastern shore of Martha’s Vineyard, an island in the Atlantic just south of Cape Cod. What: Oak Bluffs is known for its unique, vibrantly-hued gingerbread cottages that give it a storybook feel. This compact charming harbour village offers beaches that face the Vineyard Sound with very minimal surf, making the water ideal for wading or swimming, while the streets are lined with eateries of all types, a variety of shops and one of the oldest carousels still in operation. Highlights: Whether you have kids, or you’re a kid at heart, you shouldn’t miss taking a spin on the historic Flying Horse Carousel that dates back to 1876, with its horses that have manes and tails of real hair. Rent or bring bicycles, and head three miles over to Joseph Sylvia State Beach when you’re in the mood for a dip – this is also where you’ll be able to see the famous bridge where “Jaws” was filmed, and watch kids who take the plunge to the deep waters below. Where: This southern Maine coastal town is set along the Kennebunk River, about a mile from its mouth on the Atlantic. 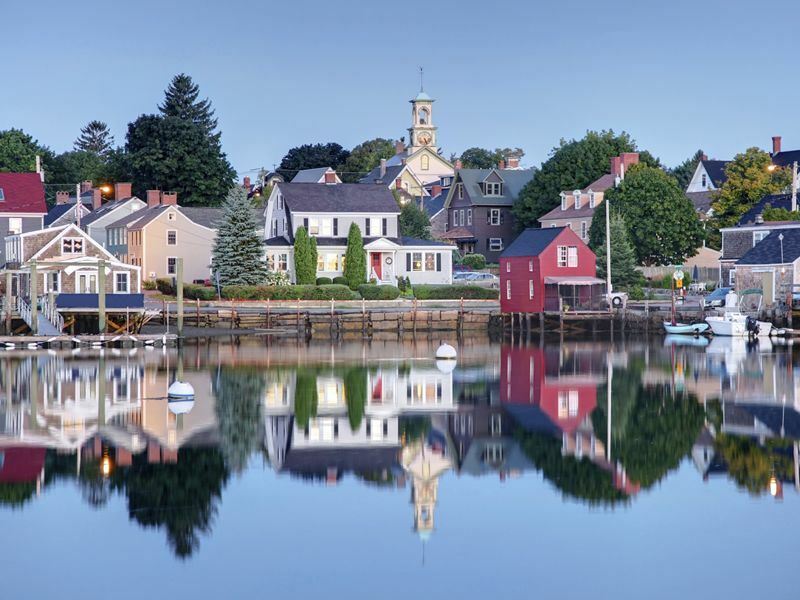 What: Kennebunkport is best-known for Dock Square, the centre of town which houses a variety of local craft shops that sell everything from hand-crafted jewellry to souvenir t-shirts, along with a diverse array of eateries. 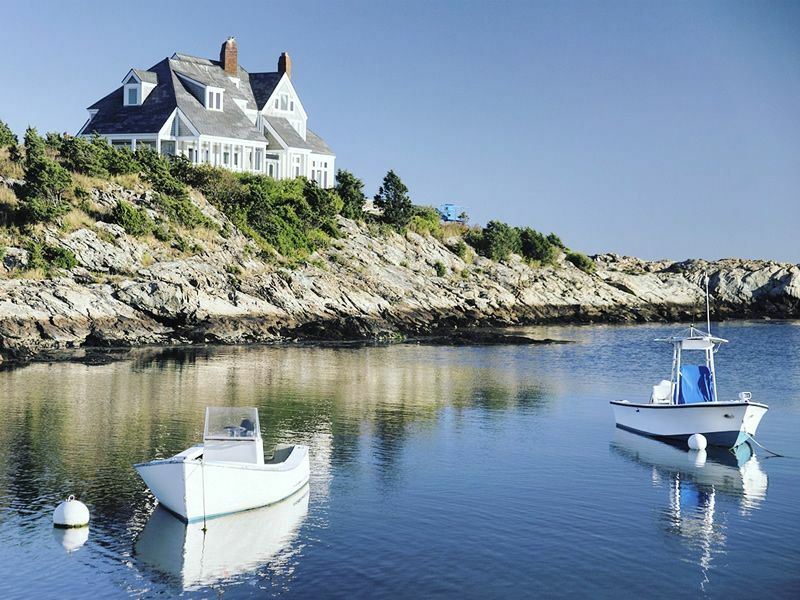 With so much water, it’s also renowned for its boating excursions like whale watching tours as well as lobstering adventures where visitors can step into the shoes of a real-life fisherman and even pull up a lobster trap. Highlights: While many people associate Kennebunkport with Dock Square’s numerous shopping and dining opportunities, including the legendary mouth-watering lobster served at Mabel’s Lobster Claw Restaurant, the true must-do here is to take a scenic drive along the backcountry roads, viewing the lobster traps that sit piled high on the small strip of sand at Goose Rocks Beach known as Cape Porpoise. Be sure to get out on the water too, you’ll find a number of spots to rent boats, canoes and kayaks, as well as the chance to join scenic sailing cruises. Where: This seaside city and popular summer resort is located about 40 miles southeast of Providence on Aquidneck Island. 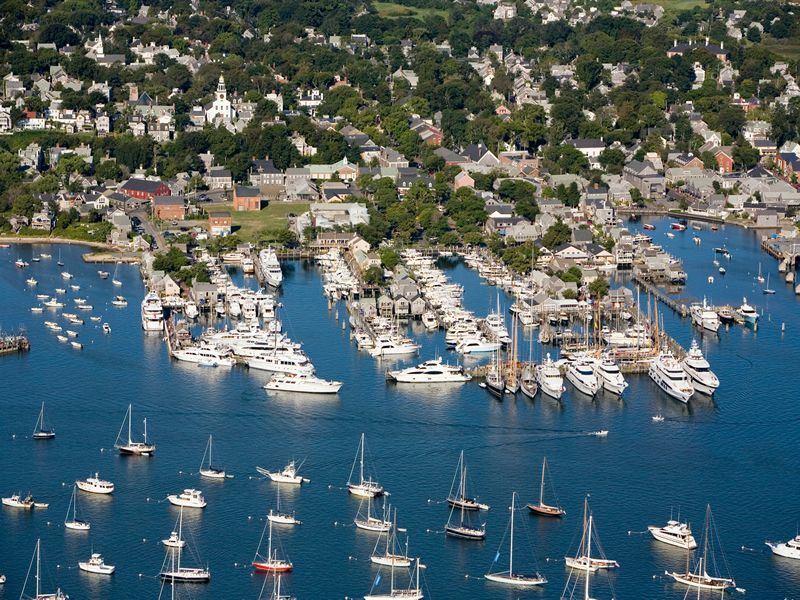 What: Newport is famous for its historic mansions and is renowned as one of the world’s best destinations for sailing. It’s also home to the International Tennis Hall of Fame. Highlights: Taking a stroll on the rugged shoreline along the CliffWalk and going for a sail across Narraggansett Bay makes for the ultimate summer holiday. But the city offers a number of other diversions as well, like its historic mansions. If you only have time for one, make it The Breakers, acclaimed as the grandest of all Newport’s mansions and a symbol of the Vanderbilt family’s social and financial preeminence during turn-of-the-century America. Its interior covers over 65,000 square feet of space, and it features a perfectly manicured 13-acre lawn that overlooks the Atlantic.